Who doesn’t want to find ways to bump up the resale home value? And when it comes to that, never underestimate the power the condition of garage doors have over the minds of potential buyers. There are certainly all sorts of home improvements one can do to tempt people to consider buying the house. And there is no doubt that you cannot satisfy all needs all the time. Some might need a larger garage or search for homes with livable garages. But one thing most buyers want is a resistant and aesthetically appealing garage door. And there are ways to achieve that. Nobody likes to buy a home with squeaky overhead garage doors. And although this might be a major concern, it’s not the worst thing that can happen with your door. Broken parts and improper balance will make the worse impressions. Dangling garage doors are not the best advertisement for your home. The least potential buyers want is to see the overhead door moving up and down smoothly. They don’t want extra expenses on repairs. And their worst fear is that they don’t know what might be wrong with the garage door. A broken garage door will be a very good reason why they might drive away. So before you get a sale sign for the yard, schedule garage door repair. 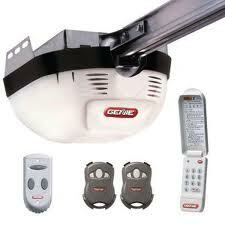 When we talk about garage door maintenance, we usually refer to the upkeep of the mechanical and electric parts. Taken that we exhausted this subject, let us draw your attention to the panel. It needs maintenance too. 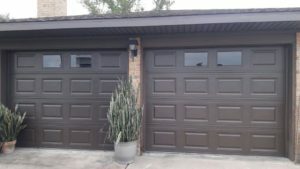 Residential garage doors are the face of the home. If you have never noticed it, check which homes stand out in your neighborhood and why next time you drive back from work. The color combos, the roof and the main door, all play a major role in first impressions. But one of the first elements catching a person’s attention is the garage door. That’s usually due to its size. What impression will a damaged garage door will make? If the color of your garage door is peeling, repaint it. If the panel is dented, fix it. If hardware is old and rusty, replace it. Today, you can do all sorts of small things to revamp garage doors and make them very attractive. Why lose money because of them? With the flush panel door repainted and the parts fixed, all you’ve got left is to check the opener. If this is not a new model, perhaps you should replace it. It doesn’t cost much to install a new opener and will be totally worth the expense and effort. Even if you don’t invest in smart garage door openers, the new system will be far better than the existing one. Today most openers integrate great features which make the garage safer and more secure. And these are two of the things all potential buyers notice. Just by having a new garage door motor, the movement will be smoother and the system will be more reliable. Buyers with kids appreciate safe systems and will gladly buy a home with a trusted electric garage door. Always plan such upgrades and estimate the cost because if there is need for too many upgrades, perhaps garage door replacement is in your best interest. Never forget that garage door improvements might not be the only ones to boost your home’s resale value but they definitely influence the buyers’ decision.